that we offer is manufactured by employing highly advanced techniques. 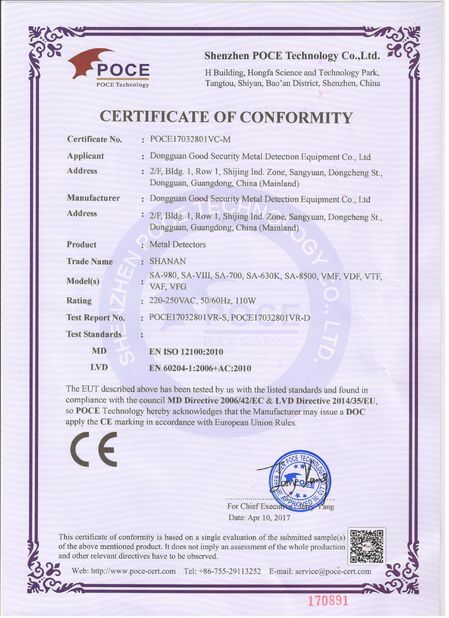 We are enlisted among the reputed Manufacturers, Exporters and Suppliers of HACCP ISO and FDA Certification Metal Detector. We conduct stringent quality tests on the detector prior to its final dispatch. Buyers prefer to buy the detector from us as we make it available at a very reasonable price. The realiy detector sensitivity depends on the products and operating environment . 1,Be widely used for medium or small package and bulk food,medicine product lines and so on . For example ,frozen dumplings ,meatballs,aquatic products,sanitary napkin,chafing dish material,prepared food . 2,The machine has learning function of automatic indentification for different detection products , to try its best to reduce the influence of material effect . 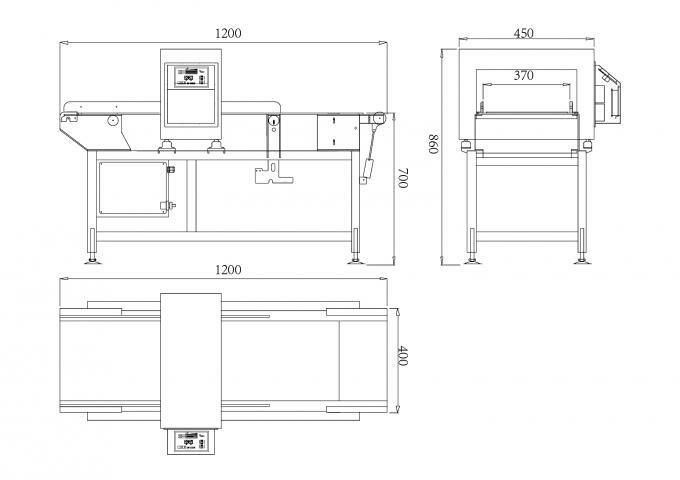 4,Suitable for wet, dry ,dust ,dew environment , made of stainless steal ,has HACCP attestation , waterproof IP65 . 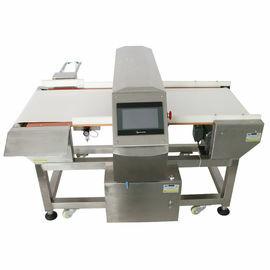 Metal detection is a fact of life in the food processing industry. Most processors, whether they process snacks, meats, grains or liquids, have either metal detectors or X-ray machines to detect and control metal contamination. X-ray machines are often the preferred choice because many food processors use metallized films as their primary packaging, eliminating a metal detector as an option. X-ray machines also have the added advantage of being able to detect and eliminate other foreign materials such as plastics, bones, stones and glass. In addition, they can be used to monitor fill weights, cap alignments and other issues. There is an ongoing debate as to how metal detectors should be incorporated into food quality and safety programs. 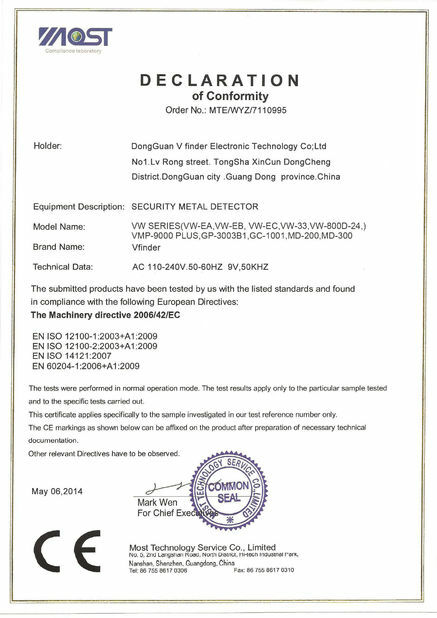 Still, some companies have determined metal detection should be a critical control point (CCP) in their HACCP plans. Others deem it part of quality management. For instance, if the end products are chopped or ground, and a hazard assessment determines a significant potential for metal contamination, the company will probably adopt it as a CCP. However, if a processor produces purées or juices, it might install an inline metal detection unit to not only look for metal, but also to protect equipment located downstream from the unit. Other processors base their decision not on risk, but on customer demands, meaning if a primary customer demands metal detection as a CCP, the processor will use it. The Food Safety Modernization Act also is a factor in how metal detection will be viewed in the future. Chapter 20 of the 4th Edition of the Fish and Fishery Products Hazards and Controls Guidance (Metal Inclusion) includes the implication that if metal detectors are used, that step in the process must be considered a critical control point, even if the risk is deemed insignificant. FDA will likely use the seafood document as a model for developing guidance for the rest of the food processing industry. While guidance documents help processors develop a food safety management system, FDA does not treat them as a “guide,” but as a bible. If a processor has a metal detector or X-ray machine in place and uses it to ensure quality, it must be able to clearly document why it is being used that way.